Meet Raa Raa the noisy lion, who loves going on noisy adventures with his little jungle friends! 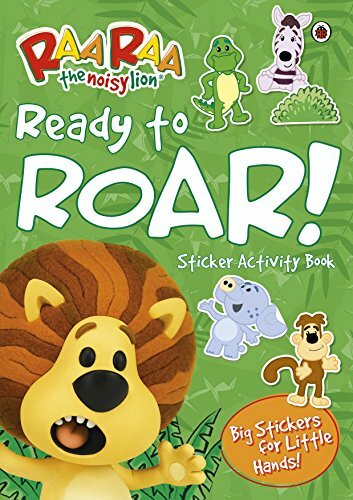 Discover the sights and sounds of the Jingly Jangly Jungle in this lovely sticker activity book, with lots of fun, simple activities to keep little ones engaged, space to colour and scribble, and extra large stickers - perfect for little hands! This delightful sticker book is based on the amazing new animated pre-school show, which encourages youngsters to play with the sounds around them to develop their communication skills.